Hicks Law Group litigators are committed to fighting for our clients, large or small, at every turn to get results and accomplish the clients’ business goals. Hicks Law Group attorneys have represented some of the largest corporations in America, as well as local businesses, government entities, and individuals. Our practice encompasses all aspects of the litigation and arbitration process, from pretrial matters through trial and post-judgment matters including appeals. We work with clients to develop an aggressive and comprehensive strategy for all phases of the dispute resolution process, and have a demonstrated record of resolving lawsuits favorably for our clients prior to trial. On behalf of clients, we have won numerous cases involving a wide variety of business issues and are well-versed in complex litigation. In every lawsuit, we strive to do our homework up front to truly understand the clients’ business and the background and personalities that impact the legal dispute. Our attorneys work to build a business relationship with each client that reaches beyond a particular case, and we tailor the litigation strategy to meet client specific business goals. Hicks Law Group is very mindful of our clients’ litigation budget, and we work with clients to achieve efficient and effective results. We understand that not every lawsuit is destined for trial, and our informed approach enables us to negotiate from a position of strength to reach favorable settlements in appropriate cases. Hicks Law Group attorneys help clients evaluate litigation risks and develop a settlement strategy from the outset of a case when appropriate. 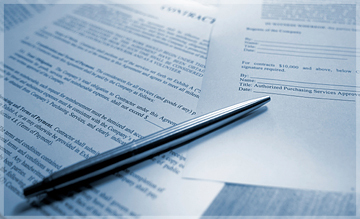 We are true trial attorneys, and when settlement is not possible, we aggressively represent our clients through trial.